NEW releases x5 – OUT NOW! Finally!!! I have been worse than terrible to handle and respond to mail last year(s). There’s no excuse, only life that came in beween. Starting mid January next year, I will start working again and return to the “normal” everyday life. Hopefully it will make it easier for me to keep it all up. As always, thank you for your understanding and patience. Lets end this year in the best possible way with five hard hitting releases. 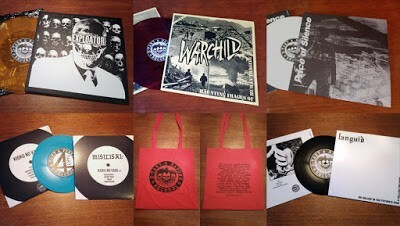 Both regular and limited coloured vinyls for most titles available. Go nuts! 2018…here we come. Mot en strålande framtid!